Spent the day catching up on emails, tying up lose ends and booking the Australia / New Zealand flights. I won't go into details about the price, although I have to say it was much more than I expected probably due to the fact that each ticket had £760 added to it for tax alone! Daylight robbery, mugged by the government. If this carries on we'll have to give up in March! Anyway, the Australia and New Zealand trip starts on the 20th of January and we get back to the UK on the 22nd of February. This leg of the quest promises to be one of the most taxing and exciting at the same time. The day we go looking for Plains Wanderer, Paul Dodd has warned us will be long, hot and very tiring, although some species, like the Pied Oystercatcher pose less of a challenge. 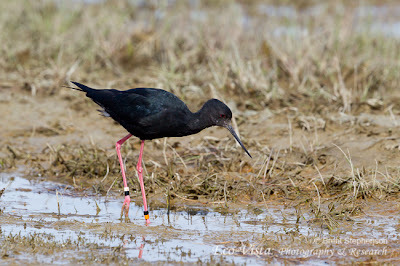 This trip will also provide us with the chance to see what is probably the rarest wader species on earth, the Black Stilt. This will be an experience and a privilege we will not soon forget if we are successful. 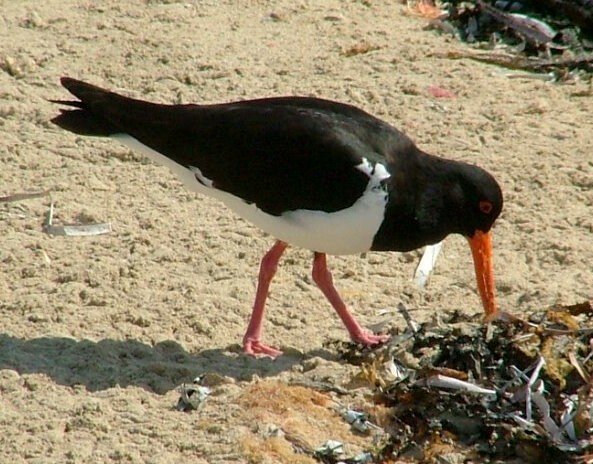 (See Brent Stephenson's Waders of New Zealand page for more details.) This trip we hpoe will, in addition, give us our chance to see the peculiar looking Wrybill. Thanks to everyone for their support that continues to come pouring in. We received a message today from Tim Jones, who told us that there were some Jack Snipe at Upton Warren and invited us to visit tomorrow, sadly we will not have time to take him up on his thoughtful offer, maybe when we get back if they are still there? Also our friends in South Africa have set up a new facebook page called 'Wader Quest Watch - South Africa' to keep tabs on our movements, successes and failures. We look forward to meeting many of them later in 2013 when we visit the region. So folks, we don't know when the next blog will appear, but as soon as we get the chance we'll be posting news of our attempt to see a spoonie!